Flow into the celestial beats. Feel the electrifying blast with every echoing rhythms. 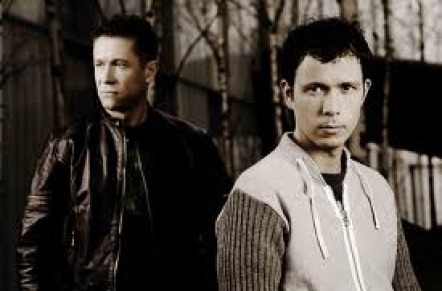 Let the trance duo of Cosmic Gate lead you to the euphoric dancy-mood on September 07, 2013 at the Hollywood Palladium in Los Angeles, California. Make sure you have hard-core caffeine-powered verve to last the night! Nick Chagall and DJ Bossi expresses the impeccable collaboration of musical brilliance since they formed the Cosmic Gate in 1999. The pair has advanced into one of the most cunning and extremely coveted electronic music acts in the world. With their debut studio album “Rhythm and Drums” in 2001, they created enrapturing anthems like “Open the Gate”, “Exploration of Space” and the exemplary hit “Fire Wire”. They also shaped the dance floor staples with buzzing synths, robotic vocals and booming basses such as “Sometimes They Come Back For More”, “The Theme”, “Back to Earth”, “Exploration of Space”, “Body of Conflict”, “I Feel Wonderful” and many other pulse-whacking, ear-shattering, spellbinding music. They have been one on the list of DJ Magazine Top 100 DJ Poll for six years now, and very active in US and Australian clubbing scenes out of series of sell-out tours. This one screams for a serious night out. Time to strut your best dance moves! Would you dare miss this? Tickets are now available, get yours while you still have the chance.